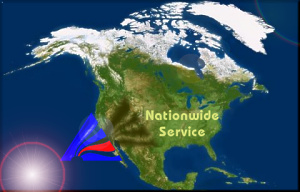 Our nationwide presence and our constant circulation throughout our great nation ensure that we’ll meet your training needs, no matter where you are. That’s why we never charge for travel, and it’s how we meet 100% of our appointments (for three years running). We meet our obligations: With 100% reliability and satisfaction ratings, we’ll be there to meet your training needs, no matter where you are. We never charge for travel, because we don’t need to. We’re available nationwide. We enjoy our work, meaning that we enjoy visiting our customers throughout the United States, at their location, at their convenience. That’s what we do.